Due to the development of high speed transmission, demands for high density patching have increased in recent years. However, the management of installed cables still remains a difficult task. 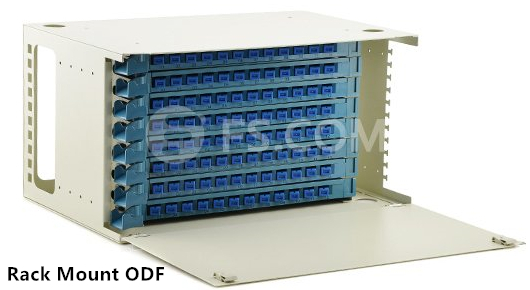 To achieve a simpler way of cable organization, people often use the cost-effective optical distribution frame (ODF) to arrange optical cable connections. ODF plays an important part in building a safe and flexible operating environment for the optical network. Different kinds of ODFs are provided in the market, but you need to choose the right one according to the actual situation. ODF is mainly used for fiber optic terminal splicing, fiber optic connector installation, optical path adjusting, excess pigtail storage and fiber optic cable protection. When cable enters into the rack, ODF should mechanically fix the cable and install the ground wire protection. Fiber optic cables will also be divided into groups for better management. When it comes to the spliced fibers, extra parts will be stored as a coil and the fusion splices are well-protected in the ODF. Adapters and connectors are pluggable and optical path can be freely adjusted or tested. Moreover, enough space of ODF is provided to satisfy a clear connection. Generally, there are three types in terms of its structure. They are wall mount ODF, floor mount ODF and rack mount ODF. Wall mount ODF shapes are like a small box installed on the wall. Because space is restrained, wall mount ODF only accepts small fiber counts. Floor mount ODF has a fixed and large fiber capacity in a closed structure. Rack mount ODF is more flexible to be installed on the rack to meet your requirements for different cable counts and specifications. This type is frequently used in the optical distribution system with 19 inches’ specification to accommodate the size of standard transmission rack. 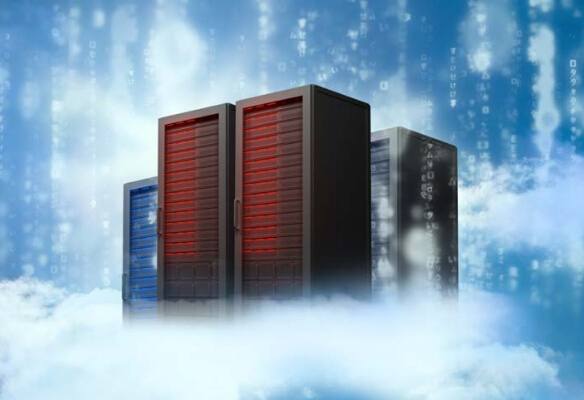 High density fiber counts have become the trend for future data center. Today, a single ODF unit usually has 12, 24, 36, 48, 72, 96 or even 144 ports. Customized ODF according to your needs is also available in the market. Using a high density device will definitely increase the difficulty of cable management. ODF should allow for easy access to the connectors on the front and rear ports for quick insertion and removal, which means that ODF must provide adequate space. Besides, ODF should have the right colored adapters to match with optical connectors in case of wrong connections. One basic function of ODF is the protection function. A standard ODF should comprise protection devices to prevent fiber optic connections from dust or stress damages. For instance, the splicing connection is very sensitive to the outside environment and is important to the normal operation of a network, so the good quality of ODF protection device is of great importance. In a word, optical distribution frame is now an indispensable equipment for the deployment of optical network. High-density ODF is especially popular in the industry. To find a suitable ODF with a lower price, careful selection is important. This article only provides some basic factors that may affect the application of ODF. For more information, please visit FS.COM.